Life after Oracle is good for NetSuite, one of the oldest software-as-a-service companies. Oracle, which acquired it three years ago, has boosted NetSuite’s growth by increasing its headcount and investing in product development. This has allowed the company which specialises in cloud ERP (enterprise resource planning) solutions to expand internationally very quickly – three times faster than Standard and Poor’s companies, according to NetSuite’s executive vice-president Evan Goldberg. Speaking at the opening of the company’s customer event, SuiteWorld 2019 on April 2, he said the company is now in 212 countries, with half of its new subsidiaries outside of the United States. A surprise guest at the Las Vegas opening was Mark Hurd, Oracle’s chief executive officer, who participated in a question-and-answer session with Goldberg as the interviewer. Hurd stressed his commitment to NetSuite, adding that Oracle will continue to invest in people and research and development for NetSuite. Goldberg said that since the Oracle acquisition in 2016, NetSuite had entered new markets that it was never in before. “We’d little experience, for example, in China before acquisition. With Oracle’s support, we dived in and discovered new customers,” he noted. “Before the acquisition, we were strong in wholesale distribution and manufacturing. Now we are selling into new industries like apparel, health and beauty sectors,” he added. “We’re developing new verticals and even micro-verticals. It’s a lot of work, but we’re growing very quickly,” he stressed. Oracle and NetSuite’s products are aligned but are not the same. Oracle’s key enterprise resource planning product Fusion is “thicker and larger”, aimed at larger companies with more complex operations while NetSuite’s solutions are lighter and smaller for use by small- and medium-sized companies. Where new technologies are concerned, both companies are actively embedding artificial intelligence and machine learning in their products. Goldberg said that business processes like supply chain control will have machine-learning modules attached. These can predict, for example which shipments will be late and the risks associated, he noted. “We will have a steady clip of these features introduced into all our new products,” he added. In Asia, NetSuite has enough opportunities for the company to have to manage its growth in a more measured way. NetSuite’s Asia head, Lee Thompson, said its re-channel strategy had been re-configured to ensure that channel partners could deliver, deploy and implement the products consistently. NetSuite promises to move fast. Sales can be closed in just six days from the time a customer expresses interest. The company says solutions can be delivered and fully deployed in 45 days, compared to other companies which can take months and sometimes years. Asia is supported by five hubs in Bangalore, Singapore, Shanghai, Sydney and Tokyo. NetSuite’s solutions are already available in Asian languages like Thai, Chinese and Japanese. 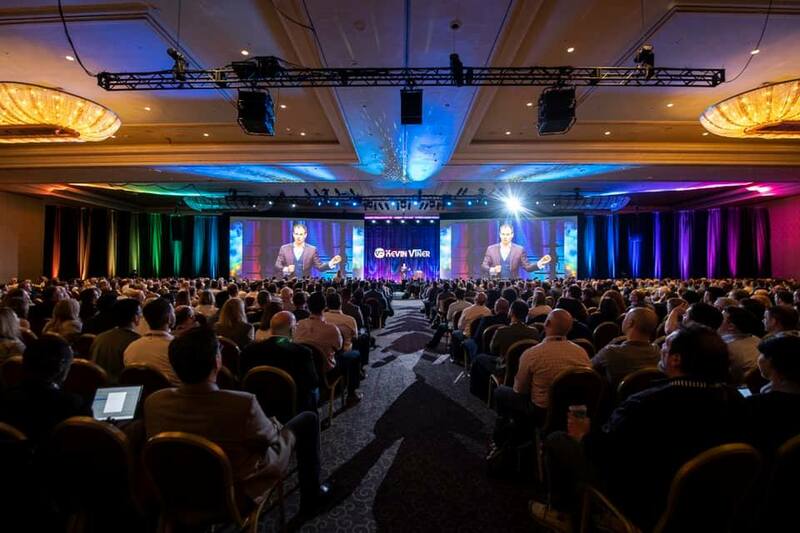 SuiteWorld 2019 is held at the Sands Conference and Convention Centre in Las Vegas. Over 7,000 attendees are expected to attend the three-day conference which ends on April 4. Among the NetSuite customers is Kiva, a charity that uses crowdfunding to raise micro-loans to the poor in developing countries. Loans can be as low as US$200 and rise to a high of US$10,000. Since its founding in 2008, Kiva has raised about US$1.2 billion over 10 years. CLARIFICATION at 05/04/2019 11:05am: An earlier version of the story stated that customers pay upwards of US$50,000 for a NetSuite solution. The company, which provided this information originally, has clarified that this amount varies depending on various other factors.